Set of vector spring typography and calligraphy title for spring designs as decorations and elements in black background. Vector illustration. 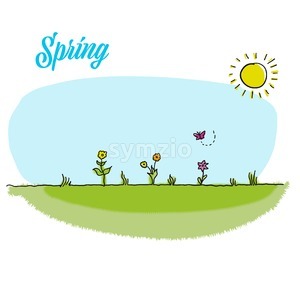 This vector was designed with rich in details which is well suited for spring and other nature related design projects for both web and print use.